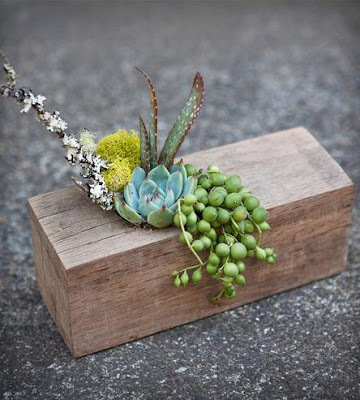 [BB-Blog]: Rectangular Wooden Beam Planter with Succulents. Rectangular Wooden Beam Planter with Succulents. A really lovely alternative to a floral arrangement. This rustic succulent planter is made from a 100% recycled beam wood. It comes with and easy-to-care-for succulent arrangement inside. Planters vary.